Italy on High uses their own specialised couriers to deliver their food. Our pizza dough is made form scratch in our restaurant each morning. Napoli sauce, cheese and ham. Napoli sauce, double cheese and oregano. Napoli sauce, ham, cheese, olives, mushrooms, anchovies (optional). Napoli sauce, double cheese, hot salami, oregano and chilli. Napoli sauce, cheese, mixed seafood, king prawns, garlic, basil, anchovies (optional). Napoli sauce, double cheese, olives, anchovies (optional). Napoli sauce, cheese, ham, hot salami, onion, capsicum. Napoli sauce, cheese, ham, bacon, egg. Napoli sauce, cheese, capsicum, onions, mushrooms, pineapple, olives. Napoli sauce, cheese, pineapple, chicken, feta, with smokey BBQ sauce. Napoli sauce, double cheese, onion, chicken. Napoli sauce, cheese, ham, hot salami, chicken, bacon, with smokey BBQ sauce. Napoli sauce, cheese, salami, ham, capsicum, mushroom, olives, onion, prawns, pineapple, garlic. Napoli sauce, cheese, ham, chicken, onion, with peri peri sauce. Napoli sauce, cheese, capsicum, salami, olives, chilli. Napoli sauce, double cheese, hot salami, onions, olives, garlic, anchovies (optional). Napoli sauce, cheese, ham, mushroom, capsicum, salami, garlic, chilli. Napoli sauce, cheese, ham, olives, salami, oregano, anchovies (optional). Napoli garlic base, ham, chicken, onion, bacon , feta cheese. Napoli sauce, tuna, feta cheese, capsicum, olives, onions, chilli, wih peri peri sauce. 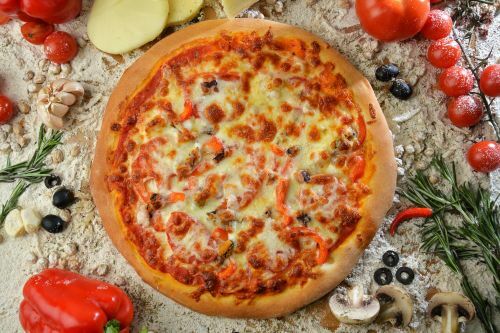 Any pizza of your choice, with one mystery slice covered in the hottest chilli we have to offer. With wedges and sour cream. Half rack of pork ribs and 3 spicy wings with chips. Any pasta of your choice made on a large ham and sauce pizza base. Egg, bacon, garlic, spring onion, parmesan cheese, light creamy sauce. Salami, onion, olives, chilli, garlic, oregano infused napoli sauce. Chicken, mushroom in a light creamy sauce. Mixed seafood, king prawns, garlic, basil, napoli sauce. Hot salami, onion, capsicum , bacon, oregano infused napoli sauce. Mushroom and garlic in a light creamy sauce. Capsicum, mushroom, onions, olives, garlic in a napoli sauce. Home made Italian style Bolognese. Garlic, chilli, prawns, napoli sauce. Tuna cooked in olive oil , napoli sauce. Tuna cooked in chilli oil, napoli sauce. Lettuce, tomato, cucumber, red onion dressed in Italian dressing. Lettuce, tomato, cucumber, red onion, olives, fettacheese dressed in Italian dressing.